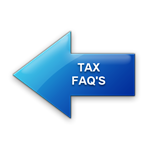 Your Social Security benefits may be taxable by the IRS. This is usually the case if you receive other income such as wages, self-employment earnings, interest, dividends, rental income, etc. You can only pay federal income tax on up to 85 percent of your Social Security benefits. Married Separate Filers pay tax on all benefits.